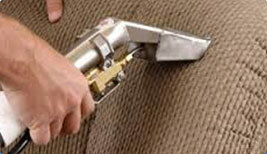 Upholstery Cleaner and Carpet Cleaning in Norwood, Adelaide. Our polished professionals leave ‘no stone-unturned’ in Norwood completing your soft-furnishings steam cleaning requirements to your absolute satisfaction. We guarantee it! 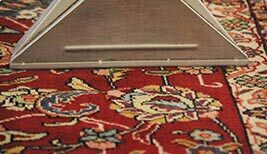 We believe you will find our quote for steam cleaning your home or office carpet, rugs, fabric or leather upholstery is just the beginning of your satisfaction with the service we provide. Most people are surprised at our flexibility and our ready availability … and delighted with the end result! Operating 7 days every week and being available for emergency call outs at night – all with no change in our rates – has met with much appeal to our Norwood customers and elsewhere. 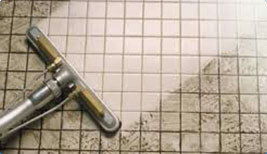 Every one of our steam cleaning technicians has been trained to the very highest qualifying standard. 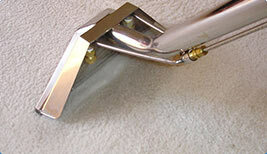 Each and every one has now completed scores of steam cleaning assignments throughout Adelaide. And Norwood is a favourite destination. We don’t mind if your need for us at Norwood is to spot-clean a favourite rug, freshen up your classic lounge suite or steam clean your whole-of-home. Every single job is important to us and to our technicians. We rely on you and you can rely on us. We offer the convenience of wireless Eftpos and quick-response quoting online and are fully insured and certified for your further reassurance. We can also be reached easily on our freecall 1800-75-60-75 number. Service Locations are provided all across the greater Adelaide Metro area and not limited to the areas listed below see our full map of locations at the areas of service page. "just wanted to pass on our appreciation for a job…"
"Rodney was all of the above and more, his demeanor…"
"Did exactly what he said he would." "Overall is a good service." "Great attention to detail, prompt and friendly service." "Excellent service will use him again shortly to re clean…"
"Really friendly operator, really good result. Very happy."